When planning a beach vacation, most travelers probably don’t have the UK at the top of their list. And I get it – the water’s cold, and it rains a lot, though during summer the sun does shine, and for those few months out of the year Britain is blessed with perfect weather for the beach. The UK boasts an incredible coastline with hundreds of stunning beaches to explore, especially when you get to the rugged southwestern tip. Here on this peninsula, Cornwall is home to picturesque harbour villages, soaring white cliffs, and ‘swathes of golden sands that look like something straight from the Med’. Whether golden or pebbly, bustling or blissfully empty, there are over 300 beaches to discover here. The following are some of our favorite picks for your Stay in Cornwall. If you’re inspired and want to travel with this information offline, I’ve created a free travel guide on Pearlshare which you can download straight to your phone so you don’t forget where to find your favorite beach! Click here. 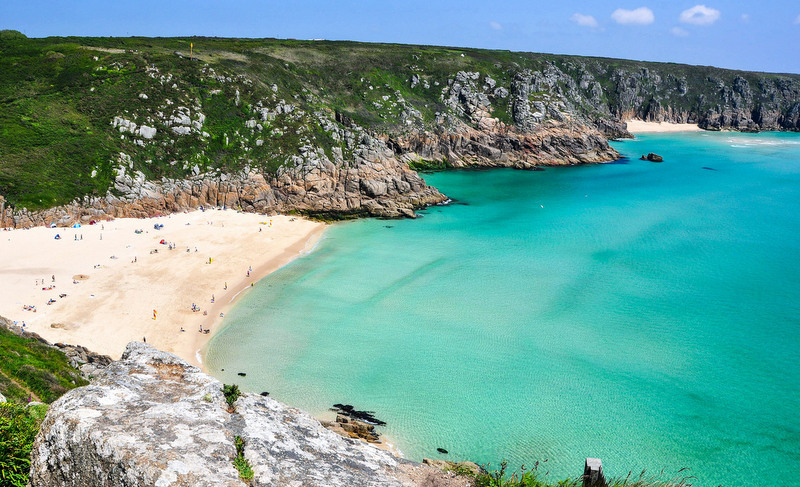 There are over 300 beaches to discover in Cornwall. The following are some of our favorite picks. Where is it? Lansallos village. This is 2 miles from Polperro and 26 miles from Plymouth. Park at the church and take the footpath access. Why go? A small sheltered sand & pebble beach reached by a beautiful 20 minute walk from the Lansallos car park. This is a quiet and peaceful cove with a small waterfall on the eastern side of the beach. Where is it? Located on the west side of Lizard Point. Steep 10-15 minute walk to the cove. Why go? This is the prettiest and most photographed beach in Cornwall. The cove is made up of beautiful white sand which contrasts against stacks of dark red and green marble-like serpentine rock, and the water which turns a brilliant turquoise blue. There are large caves, and a a fantastic 2 mile scenic walk around the coast to Lizard Point, mainland UK’s most southerly point. Where is it? Located between Rame Head and Portwrinkle. Note that access can be difficult on steps and uneven paths from parking areas. Why go? 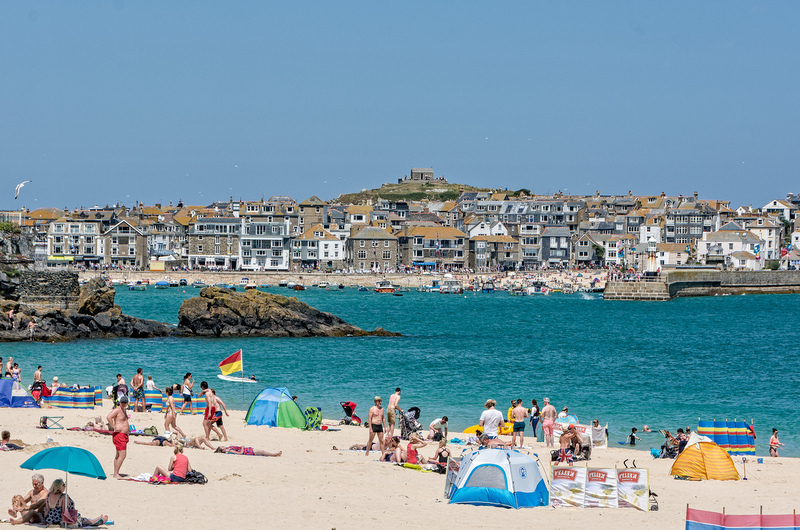 This is one of the best beaches in Cornwall, with three miles of golden sand. The scenery is stunning, with the long stretch of glistening sand backed by soaring cliffs. This is a fantastic beach for surfers with huge waves. Walking the beach you will come across rock pools with interesting sea life. There is a popular dive site offshore; the HMS Scylla is an ex-naval frigate sunk in 2004 to form an artificial reef. Food & Drink: View Café is a great spot for a meal, and Eddystone Café on Tregonhawke Beach is a great place to grab a coffee and enjoy the incredible views. Click for more of Cornwall’s best restaurants. Where is it? Located in Porthcurno at the western corner of Porthcurno Bay. There is a big car park above beach. Popular among families, kids can paddle in the stream at the top of the beach. Where is it? Just under one mile north-east of Sennen Cove. The closest town is Penzance. There is a car park open in summer at the top off the cliff which costs about £1.50, and from there it’s a 10-15 minute hike down to the beach. Why go? Because the beach is situated at the base of steep granite cliffs, and you have to hike 10 minutes to get there, it’s fairly secluded and never sees large crowds. Large waves make it a favorite among local bodyboarders and surfers, and it’s dog friendly all year round. The views of the cliffs are incredible, and you can see the Scilly Isles on a clear day. Where is it? Roughly 3 miles from Newquay (15 minute drive or 45 minute walk). A couple of access points lead down to the beach, though it’s easiest to take the path in front of the hotel in the valley. There are two beach side car parks. Why go? This is a perfect golden sand beach which stretches for over 2 miles at the foot of stunning steep cliffs. With enormous waves from the Atlantic, the bay is a hub for beach sports and events. You can take lessons or rent equipment for surfing, kitesurfing, waveski, and stand-up paddlesurfing. There are year round events with demonstrations, championships and music festivals + the annual Polo on the Beach. Families love it here, and there are plenty of rock pools for children to play in as well as designated safe swimming areas in the sea. 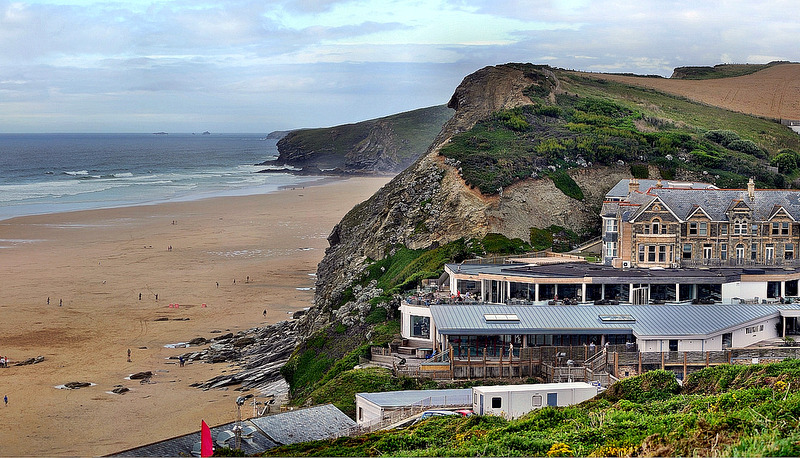 Food & Drink: Watergate Bay is a growing foodie destination, and features some of Cornwall’s best spots to eat. Jamie Oliver’s Fifteen Cornwall directly overlooks the bay, along with the contemporary Watergate Bay Hotel and shoreline restaurant, and The Beach Hut. Where is it? 4 miles from Newquay. Why go? Mawgan Porth is a small village with a beautiful white sand beach which is far enough away from Newquay that you can escape the crowds. It is popular among families as there are a lot of rock pools and caves to explore, and it is sheltered by steep headland cliffs. There are fantastic facilities including a seasonal lifeguard and disabled access. Sunsets here are amazing. Why go? If you want the atmosphere of a tropical vacation, this beach has golden sand, waving palm trees and crystal clear waters. There are stunning views over to Godrevy lighthouse, and a great beach shop which rents equipment and beach gear. Give standup paddleboarding a go! Food & Drink: Once you’ve worked up an appetite, head to Porthminster Beach Café. More of a classy restaurant with a beachside terrace than a “café”, there are lovely views of St Ives Bay. It’s casual dining with amazing local food. Breakfasts here are a big deal. Where is it? About three miles from Padstow and about one mile from St. Merryn. Why go? This is a beautiful gold sand beach in a horseshoe shaped bay, and one of the best family beaches in Cornwall. Wide and spacious, it’s backed by beautiful dunes, and there are plenty of rock pools for children to explore. Also very popular among walkers, sea kayakers, and those learning to surf. One of the safest beaches in the country, surf schools run lessons from the beach. 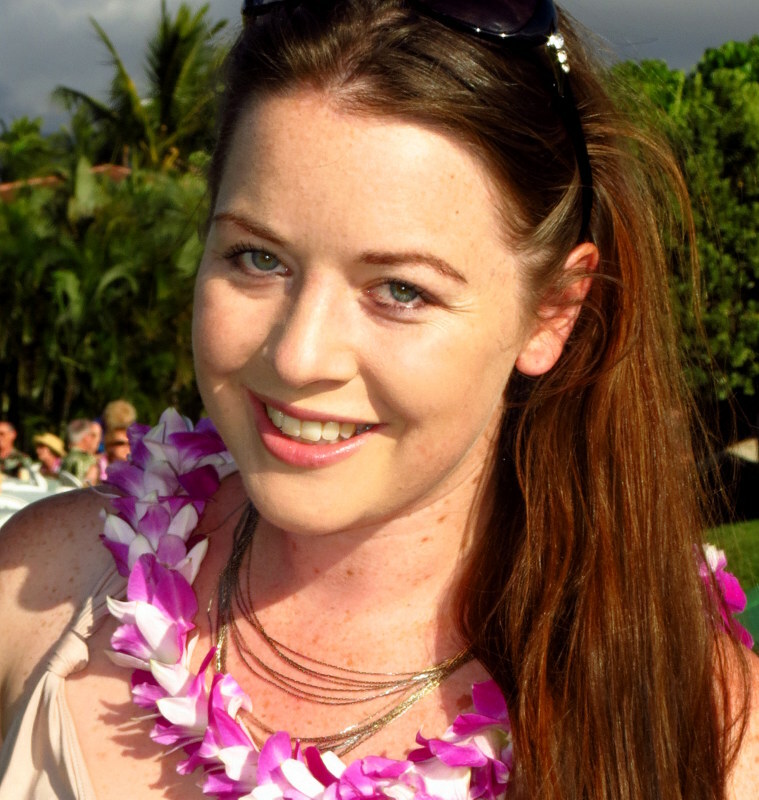 Pearlshare is a free app that allows you to easily build and share local travel guides. Save my Cornwall guides to your phone by downloading the app for free: here for iOS or jump over to the Desktop version. Photo credits: Featured photo by Giuseppe Milo. Pinterest images by Giuseppe Milo & David Nicholls. Porthcurno Beach by Nic Trott. Gwenver Surfing by Eloise Roberts. Watergate Bay by Robert Pittman. Porthminster Beach by David Nicholls. Kynance Cove by Barney Moss. The only memories I have of Cornwall are being stuck in a Hurricane back in 1985! Perhaps I should go back – the beaches look amazing. Beach holiday……. Uk……. Ummm no, not something I would have ever thought of. but you may have swayed me. I mean if anything, look at that gloriously blue water, how spectacular!! I know the UK coast is beautiful, and when the sun shines the landscape becomes stunning. But I wasn’t ready for this. Cornwall is an ideal beach destination, something I didn’t expect. And I love the guide with the location, some info and the restaurant recommendation. Next time I’m visiting my friends in Uk, I would suggest a beach trip to Cornwall. Have a wonderful time in Cornwall when you’re next in the UK – I’m so glad we could convince you to go! I lived in the UK for five years, and I never went there. Shame on me. It looks really great. Thanks for sharing! Even with a hundred guesses, I’d have never thought Porthminster Beach was in the U.K, Meg. It looks like a Mediterranean coastline with the wall to wall buildings and the rocky turquoise water.I actually like the beach in cooler weather. There’s something so cozy about strolling with an oversized sweatshirt and no shoes. These beaches look perfect for that, too. Doesn’t it look straight out of the med!! 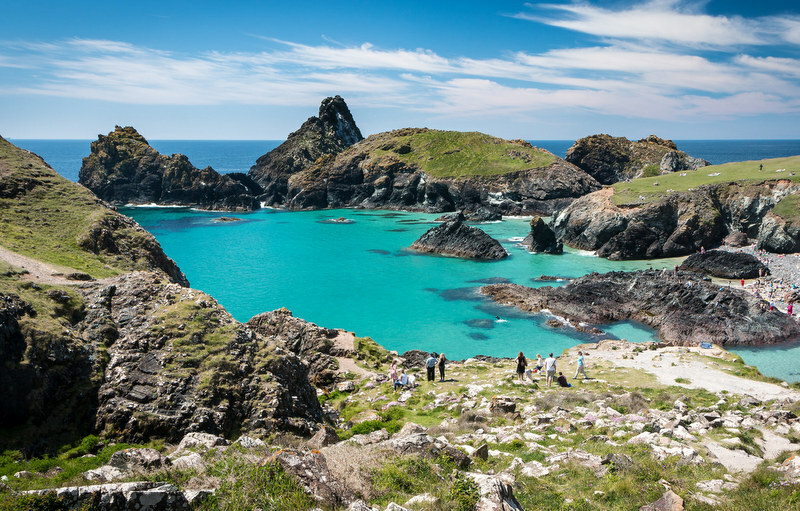 That’s probably one of my favorite beaches here – Kynance Cove too – you could swear you were somewhere exotic in Asia if you didn’t know any better.Like Thailand or Vietnam! Totally agree with you that walking the beach in cozy clothes is a luxury in life! I agree with some of the commenters here. If you had not mentioned UK , I would have never imagined! Thinking UK for beach destination, is not really the top of the list. They are more of a historic castle type destination. But the beaches looks so amazing, and those water are really gorgeous! Castle AND the beach though, what could be a better mix :D! Beautiful beaches, but summer is so short in UK :(. I considered going there last year… and ultimately ended up in Sicily. Beautiful, thanks a lot for this overview! Just a short question: which beach is the one shown in the header, which you use as a background to the title? That looks stunning..! Cornwall is one of the best beach in the world.. first time i visit this place i find it boring cause im looking a surfing place! lol lucky i found one!! you a great blog!! 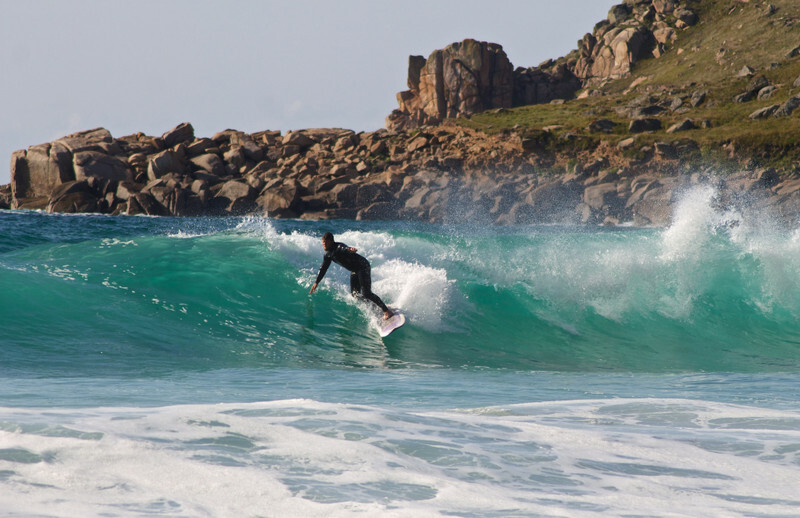 Glad you found some great surf in Cornwall after spending some time to look – it’s a pretty great coastal destination! Mann cornwall is soo stunning. 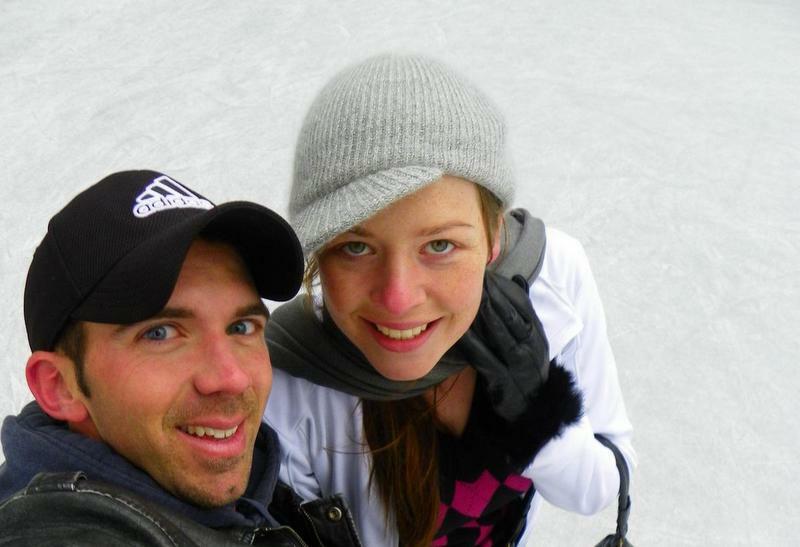 The photos you included are gorgeous!